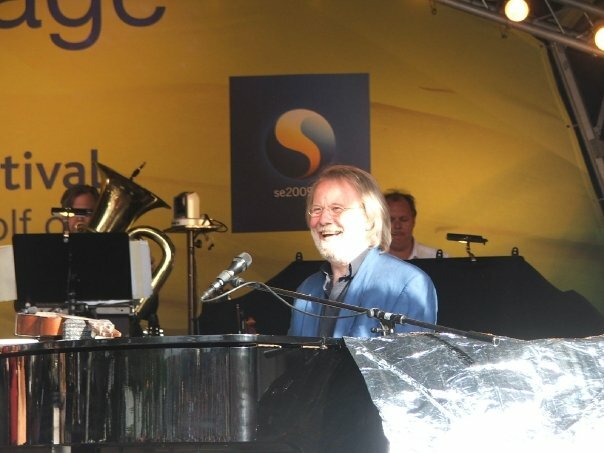 Last Saturday I was lucky enough to be in London to attend the first London performance of the Benny Andersson Band (aka Benny Anderssons Orkester, aka BAO). BAB was performing in Hampstead Heath as part of Sweden on Stage, a concert to commemorate Sweden taking over the Presidency of the European Union. The afternoon featured several Swedish acts (and a couple of non-Swedish acts) leading up to the headline act in the evening. Seeing Benny Andersson Band on stage is a rare treat. There is nothing fancy, just some “middle aged men”, as Benny described them, who enjoy playing music and playing together. And Benny obviously enjoys it – a beaming smile hardly ever left his face. BAB’s repertiore is wide and varied, from the Swedish folk styles and big band music that the band is famous for, to evergreens, rock and roll, classical music, and even a few ABBA songs – on this evening they performed ‘Hasta Mañana’, ‘I Do, I Do, I Do, I Do, I Do’, and the concert-closer ‘Why Did It Have To Be Me’. 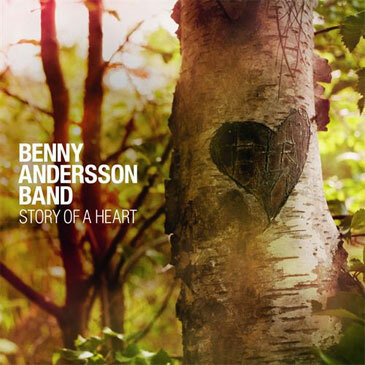 Benny Andersson Band also has a new CD out now, Story Of A Heart, featuring several instrumentals from their previous Swedish-release CDs plus English-language versions of Swedish vocal tracks and the all-new title track.